I guess you’re all a little bit irritated by the title. 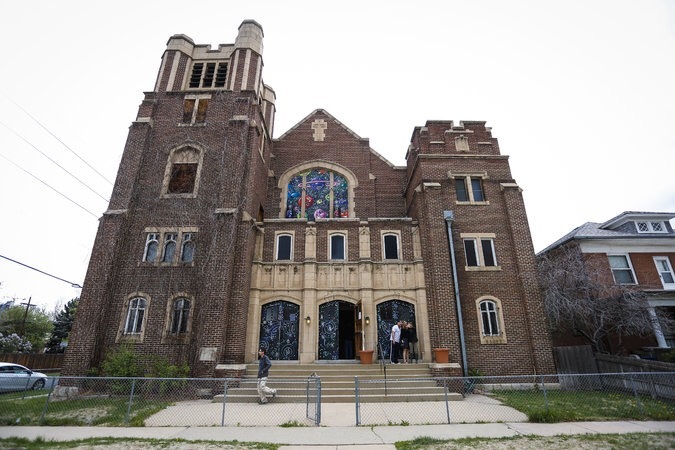 A church of cannabis? Well, this church really does exist. It is located in Denver, Colorado. Last week, it opened. The idea behind the church is to create a public space to smoke pott. In Colorado it is illegal to smoke weed in public space, but a church HAS to be open for public. There are a lot of controversial opinions about this church. You can read more about it in the sources below. What was interesting to me was the amazing artwork inside of the church. Kenny Scharf and spanish artist Okuda San Miguel created the beautiful, colorful murals. They let you travel to a fantastic world of colors. On Okuda’s instagram page are a lot of great pictures that show the amazing interior. Also, they are currently trying to get money for restauration. 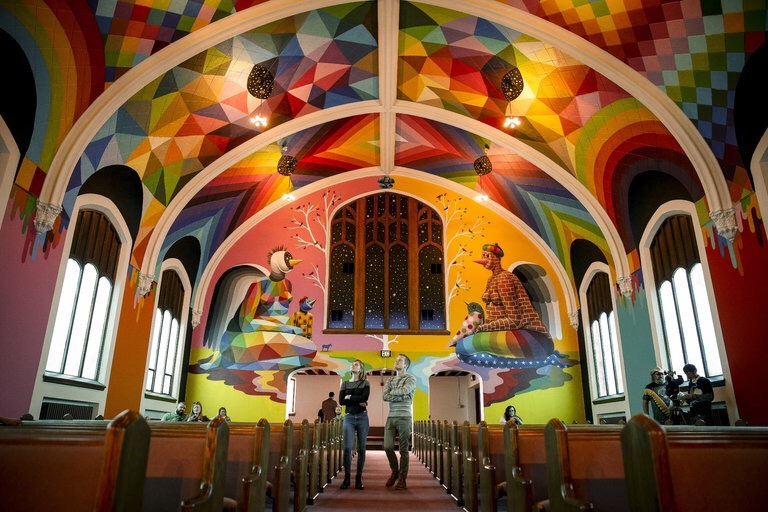 What do you think about a church of cannabis, and how do you like the artwork? 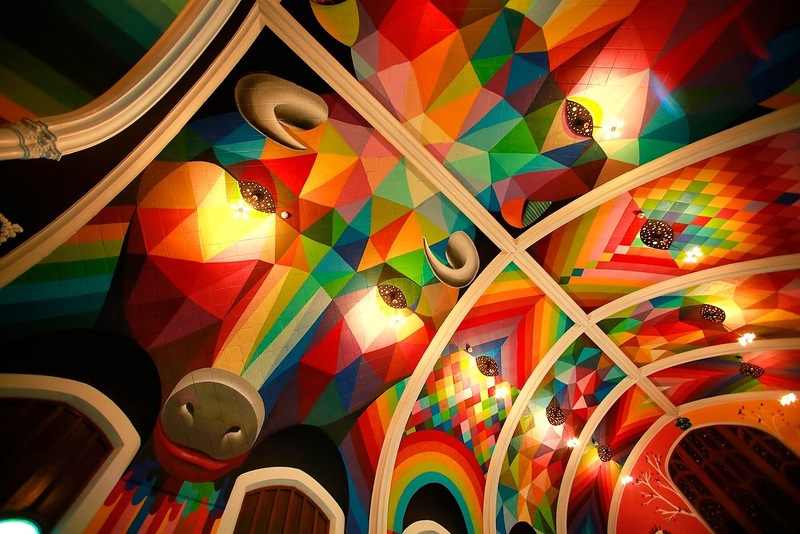 Veröffentlicht in Murals, Projects, Uncategorized, urban artGetaggt mit church, colorful, interior, Mural, okudart, streetart, theinternationalchurchofcannabisBookmark the permalink.